The diagram from the Varian textbook shows that the SRAC curve is tangent to the LRAC curve at a point which is not the bottom of the SRAC curve. It would be really helpful if someone could explain this. 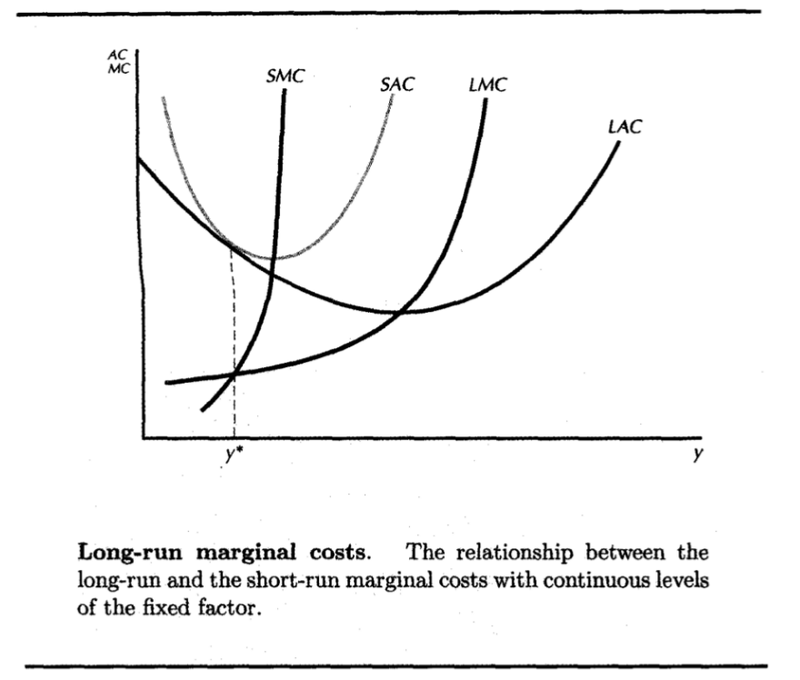 The diagram is fine as an illustration of a possible relation between the long run average cost curve and one particular short run average cost curve. Long run in the context of a firm's cost functions means that all inputs are free to vary, so it makes sense to refer to the long run cost curve. Short run means that one or more inputs (eg capital equipment) are fixed. Since these inputs could be fixed at different levels, there are many different short run cost curves. The long run cost curve is the envelope of these curves. Unless it has been specified at what level they are considered fixed (which could implicitly be whatever is their current level), it makes no sense to refer to the short run average cost curve. In most cases, the minimum point of a short run cost curve will be above the long run cost curve. This should not be surprising: it just means that, for the relevant output, it's possible to obtain lower costs if all inputs are free to vary than if only some are free to vary. There will however be one short run cost curve corresponding to the levels of fixed inputs at which the long run cost curve is at its minimum. The lowest point of that particular short run cost curve will be tangent to the long run cost curve (and incidentally the short and long run marginal cost curves will also pass through the same point). A diagram showing multiple short run average cost curves, with one having its lowest point tangent to the lowest point of the long run cost curve may be found in Nicholson W (9th edn 2005) Microeconomic Theory. For an online source see here. Not the answer you're looking for? Browse other questions tagged microeconomics cost or ask your own question. Why is the social value curve NOT the supply curve shifted downwards? Why is the long-run average production cost not necessarily the same as the minimum average total cost? Monopoly/Monopolistic Competition Productively Efficient or Inefficient?